Now that the temperatures are starting to warm up, it’s time to spend more time in the outdoors. 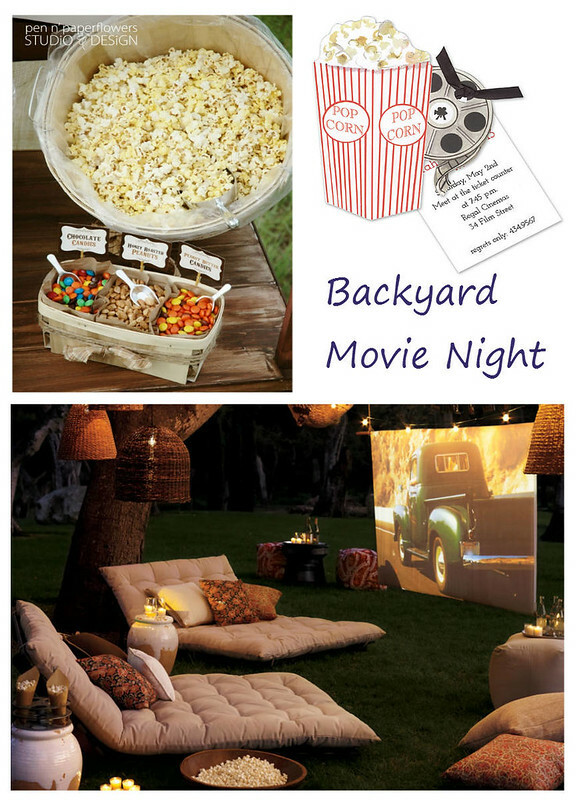 Having an outdoor movie night is a great party idea for the cool summer nights this season. It’s a family friendly approach to hosting in your own home and can be simple to create when you utilize the space in your own backyard. Decorating is easy for the event- just use the beauty of the great outdoors. For more lighting when the sun goes down, string a few white lights around the patio or yard for a dimmed lighting. Citronella candles are also a great idea because they will fend off pests in addition to giving off light at night. You can also add extra touches by adding decorations that are on theme with the movie you plan to watch! What movie will you screen at your backyard outdoor movie night?